Santana which is rightfully considered one of the most recognizable bands in the world has been existing for more than fourty years already. To date its line up has changed almost as many times as there have been released albums, but the sound of the guitars and percussions always remains the same, as well as the voice of the collective's central member and its self-perpetuating leader Carlos Santana. It is rather natutal that during the time of its existence the collective has released more than just one collection of the best creations. This year again the musicians please the fans with a record of the kind. 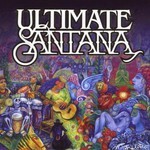 The main peculiarity of album Ultimate Santana has become the fact that it does not cover all the band's creative work, but contains some early works, new versions of hits and gives an idea of Santana's three latest records refering to the so called comeback era that has started in 1999. Another surprise are the collaborations with such international stars as Steven Tyler, Tina Turner, Jennifer Lopez and a lot of others that make Santana's songs play with new colors. Album Ultimate Santana contains eighteen tracks seven of which refer to the early period of Santana's creative work and come from the first three albums that are 1969's Santana, 1970's Abraxas and 1971's Santana III. Seven other songs belong to the comeback era and are from the albums 1999's Supernatutal, 2002's Shaman and 2005's All That I Am. Europa is a classic instrumental composition from the band's seventh studio work, 1976's Amigos. And there are also four compositions that have not been previously released. It is the opener Into The Night, collaboration with Chad Kroeger of Nickelback, a powerful and melodious song refined with the leading vocals of Chad. A new danceable single Interplanetary Party is pleasing with its great mood and a contagious optimism. Jennifer Lopez joins Santana on a danceable song This Boy's Fire, and there are two versions of a successful hit The Game Of Love: one is the original one performed with Michelle Branch and the other closing the album is an absolute masterpiece featuring incomparable Tina Turner. Such Smooth featuring Rob Thomas is one of the most well-known songs on the record, as well as the immediately following Maria Maria. songs as Black Magic Woman, Samba Pa Ti, Oye Come Va and Corazon Espinando are those classic Santana's songs that must be on the compilation essentially, whereas Put Your Lights On and Just Feel Better featuring Steven Tyler are those more modern tunes more familiar to a younger generation of the band's fans. Santana's main merit is by all means the fact that it has made Latin rock known to the whole world and become an example for many beginning artists. Its inimitable style and unusual melodies go on providing the increase of the band's fan base and as forty years ago there gather crowds of amazed spectators on the concerts. Beyond all doubt the desire of the show business stars to collaborate with legendary Carlos tells a lot as well. To make sure of that it is enough to listen to Ultimate Santana only once and hear the pleasure in the voices of all the singers who perform with him. Speaking about the material selected for the record the greatest part of it is going to please rather those who are more fond of Santana's later creative work and also those who like its most famous songs that have become classic. For those who have not yet purchased a compilation of the unique collective Ultimate Santana will become a real discovery as it includes the past and the present. The only thing lacking for the entire picture is the songs of 1980-90s but they can be easily found on other suchlike collections. Hopefully this record is not Santana's last release yet and it is probable that the band pleases us with new hits in the nearest future.